Podcasts were once seen as an ancient method thrown to the back burner, making space for new platforms such as the increasingly popular social networks, Twitter and Facebook. These new platforms provided a great new way of digesting content, whether it was for educational or entertainment purposes. However, with the increasingly busy lifestyle people now have, written content can sometimes prove too time consuming to engage with. Enter podcasts! Podcasts provide the perfect method for digestible content whilst on the move. Mobile phones and headphones have created the perfect way of getting your podcast fix whilst out and about. 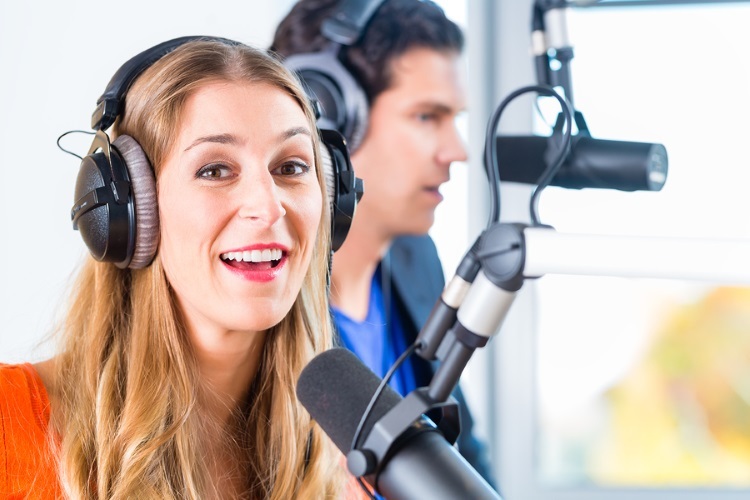 Podcasts are great to help up and coming marketers learn about the industry, or even seasoned professionals who are just looking for a good bit of education and engagement. Created by Joe Pulizzi of Content Marketing Institute, This Old Marketing Podcast airs for 60 minutes every week. The main focus of this podcast is old school marketing disciplines. They delve into content marketing news, usually three or four stories a week, giving their perspective on individual matters. Listeners can get involved and ask questions by using the hash tag #Thisoldmarketing on Twitter. When asked about the trends of 2015, many experts such as Rand, Mari and Jason Falls each suggested that mobile marketing is now, and is going to be huge within the digital marketing stratosphere. This being said, it is vital every digital marketer keeps up to date with the news and developments of these strategies. This Mobile Mixed Podcast, available on iTunes and created by Greg Hickman, is the place to go to hear all of the industry news regarding mobile marketing strategies, and how to leverage mobile to grow your business. Marketing Over Coffee is a US podcast hosted by John Wall and Christopher Penn in a local coffee shop. The podcast does talk about marketing as a whole, but tends to focus heavily on the social media side of the industry. The show is live every Thursday morning and airs for around 20 minutes each time. You can expect regular interviews with industry professionals, such as David Merman Scott and Seth Godin. The usual areas they cover are social platforms, SEO, email marketing and the occasional chat about old school offline marketing campaigns. This podcast produced by Jay Baer takes a social media angle and talks very much around the subject of people in the real world and what social media strategies they are currently using. The conversations are generally about current social media industry news, what tactics companies are using, social statistics and some of the weirdest social media happenings they have come across. This podcast is great for tips on managing your own social media feeds, with titles available such as “managing a Facebook page with 7 million fans”. Hosted by Daniel Rowles and Ciaran Rogers, Digital Marketing Podcast is a general podcast covering a wide range of happenings within the digital marketing industry. Topics are wide spread and include elements such as ‘latest SEO updates’, ‘essential digital tools’, ‘digital branding’, ‘website performance’ and ‘global social media’. This is the perfect podcast for new and seasoned digital marketers alike. It provides a perfect mix of basic digital knowledge as well as complex advancements within the industry. Tune in for great discussions, complex opinions and practical take-aways for your company. There you have it, 5 great podcasts that you should be listening to for easily digestible source of content. If you are already an avid podcast listener, please let us know what podcasts you find useful in the comments below.